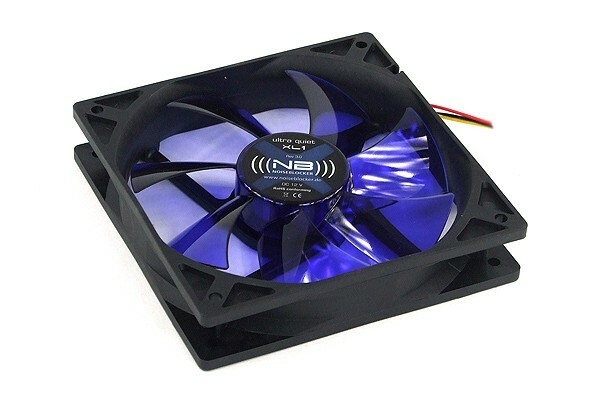 Good quality doesn't have to cost a fortune as the Rev.3.00 of the Ultra Silent fan series from (((NB))) proves. The ideal compromise between noise level and power together with the great proce have made the BlackSilent fan series the best-selling fan series on the market. With the XLP we bring a PWM-controlled high-powered version which allows fan speed control via a Mainboard according to Intel(c) specifications. The new revision 3.00 with gloss-finished dust-repelling fan blades, NB-SLICS vibration absorbers as well as many improvements in detail and an extended warranty of 3 years! Compare yourself and find out why the BlackSilent fan series is the best-selling fan series! Outstanding quality - developed in Germany! Pressure : 2,653 mm-H2O max. Please pay attention to the difference between a 4pin powerconnector (Molex) and a 4pin fanconnector (PWM).